When will the madness end? When people start taking food safety into their own hands. It’s why we created Eat Cleaner in the first place. Using the power of plant science, we give you a simple way to protect your family’s plate. Restaurants, caterers and anyone serving food to others should also take heed. 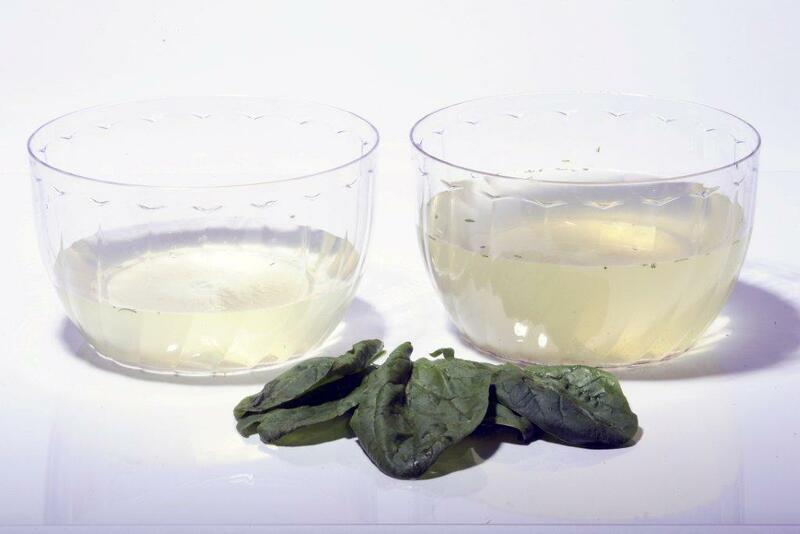 The two minutes it takes to wash with Eat Cleaner can make a big difference in the lives you love. Read these stories from members of S.T.O.P. (Safe Tables Our Priority) and learn why events like these should make us all think before we bite. 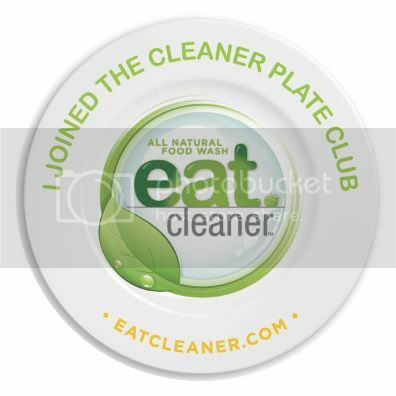 Washing with Eat Cleaner can help prevent your risk of E.coli infection. There is not a more helpless feeling than to have your healthy, beautiful 20-year-old daughter call you from 200 miles away and tell you something is physically wrong with her. It is a feeling I know all too well. The symptoms my daughter described to me didn’t resemble anything that a young woman should encounter. Hospital personnel couldn’t seem to diagnose the problem – they were only able to rule things out. She then had to endure going from office to office to get records and test results while barely able to stand. When her dad brought her home, after racing 400 miles round trip, we took her to an urgent care center. The medical professionals there, too, sent her home with us. The next day my daughter Lauren was directly admitted to the hospital. The horrifying battery of painful tests that followed was almost more than she could endure. Finally, after nearly having surgery to remove her colon, the news broke that there was an E. coli outbreak from baby spinach. Lauren recalled she had eaten a large baby spinach salad a few days before. She was tested for this particularly lethal strain of E. coli and it was confirmed. After spending a week in the hospital with strong IV antibiotics, she was discharged – 20 pounds lighter and very weak. This was the most trying time our family has ever experienced. Lauren lost an entire semester of college, had to move back home, and experienced depression and other lingering physical changes from this horrifying illness. We continue to hope shewill not have long-term health impacts and will be able to enjoy good health. This scenario should be in the minds of congressional lawmakers. My child is only one of thousands who have suffered due to shortfalls in the current food-safety system. Fortunately her story had a happy ending, but other families she has met while speaking in Washington have not been so lucky. Lauren has traveled to Washington three times to speak about her experience. This is an easy subject to overlook until it affects you personally. The FDA Food Safety Modernization Act (S.510) would make a difference to not only our family but to the many others who count on our government to do the right thing. Senators, please give me and mothers around the country the Mother’s Day gift we have been waiting far too long for – safer food. Despite growing up in a small town in rural Kentucky, I had big dreams in store for my future. I wanted to go to law school, live in New York City and change and conquer the world. I never imagined in planning to reach these goals that I should have left room to be sickened by food, be forced to leave college and almost die in the process. Nevertheless, as I began my junior year of college at the University of Kentucky, I ate a spinach salad infected with hemorrhagic E. coli O157:H7. I was hospitalized for a total of two weeks and was in recovery for six months. The first two years after my traumatic, sudden illness I felt very uncomfortable discussing what happened with anyone because foodborne illness is an ugly journey. There is blood, diarrhea, tears, and nausea, and pain — tremendous amounts of pain. Then last summer I was contacted by the New York Times for an article regarding food safety and came to realize that my voice could make a difference. It could save others from the same life-changing experience, or at least I thought it could. I have now been to Washington, D.C., three times in the last year with Safe Tables Our Priority (S.T.O.P.) and the Make Our Food Safe coalition. I have met with my representatives, written letters, and told my story what feels like hundreds of times. Unfortunately, my voice can only travel so far. Until government officials in Washington realize the devastatingly negative impact that unsafe food can cause and move forward on passing the FDA Food Safety Modernization Act (S. 510), we will all continue to be in danger. There have been several large national outbreaks of contaminated food products since the spinach outbreak that made me sick. My only question is: What is Congress waiting for? Go to http://actionnetwork.org/campaign/mothersletter and sign your name to a letter to Congress from moms just like you pushing action on food safety legislation. WASHINGTON — A food company is recalling lettuce sold in 23 states and the District of Columbia because of an E. coli outbreak that has sickened at least 19 people, three of them with life-threatening symptoms. Freshway Foods of Sidney, Ohio, said it was recalling romaine lettuce sold under the Freshway and Imperial Sysco brands because of a possible link to the E. coli outbreak. The FDA is focusing its investigation on lettuce grown in Arizona as a possible source for the outbreak, according to two people who have been briefed by the agency. Donna Rosenbaum, director of the food safety advocacy group Safe Tables Our Priority and one of those briefed, said the agency held a phone call with public health advocates Thursday. Rosenbaum and other public health advocates have long been pushing for stronger food safety laws. The House passed a bill last year that would give the agency much more authority to police food production, but the Senate has not acted on it. The New York state Public Health Laboratory in Albany discovered the contamination in a bag of Freshway Foods shredded romaine lettuce on Wednesday after local authorities had been investigating the outbreak for several weeks. The bag of lettuce came from a processing facility that was also linked to the illnesses, the FDA said. The agency would not disclose the name of that facility or its location but said an investigation was under way. It was not immediately clear why students on college campuses were sickened. Freshway Foods said the lettuce was sold to wholesalers, food service outlets, in-store salad bars and delis. Susan Cerniglia, spokeswoman for the public health department in Washtenaw County, where the University of Michigan is located, said it doesn’t appear that students who were sickened ate the contaminated food on campus. It is believed they may have been sickened at local restaurants, she said. Most of those sickened lived in Ann Arbor and not on campus. The Erie County, N.Y., health department issued an alert late last month that linked at least one diagnosis of E. coli to a student who ate at a Daemen College dining facility. The alert said twelve students had been sickened after eating at the school and three students were hospitalized. Kevin Montgomery of the Erie health department said Thursday that one case of E. coli was confirmed at Daemen College and another was suspected. All of the students have now recovered, he said. The most common strain of E. coli found in U.S. patients is E. coli O157. The CDC said the strain linked to the lettuce, E. coli 0145, is more difficult to identify and may go unreported. Freshway Foods said in a statement Thursday that the FDA informed the company about the positive test in New York on Wednesday afternoon. The statement said “an extensive FDA investigation” of Freshway Foods’ facility in Sidney has not uncovered any contamination at the plant. The recalled lettuce has a “best if used by” date of May 12 or earlier. The recall also affects “grab and go” salads sold at Kroger, Giant Eagle, Ingles Markets and Marsh grocery stores.